Anvaing Castle was probably built in the 16th century on the site of an earlier castle known to exist as early as the time of the First Crusade. 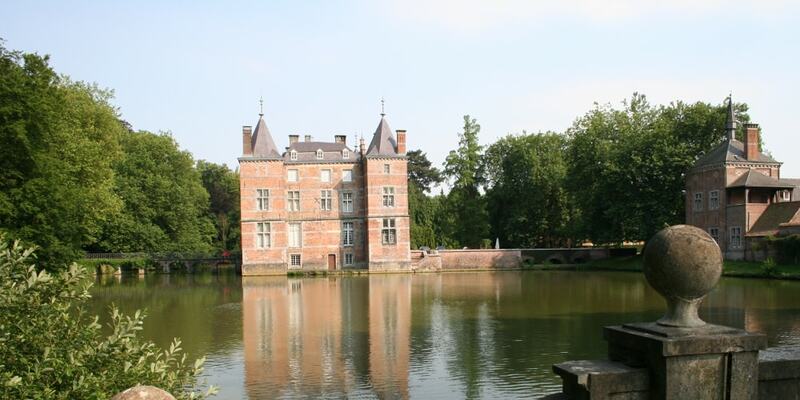 The castle is chiefly notable as the place where on 28 May 1940 by order of King Leopold III the capitulation of the Belgian forces after the Battle of the Lys was signed. Stephanie de Lannoy, Hereditary Grand Duchess of Luxembourg, grew up in the castle.